We are excited to bring you this opportunity for both business and personal credit cards in partnership with TCM Bank, N.A. Check out these benefits. 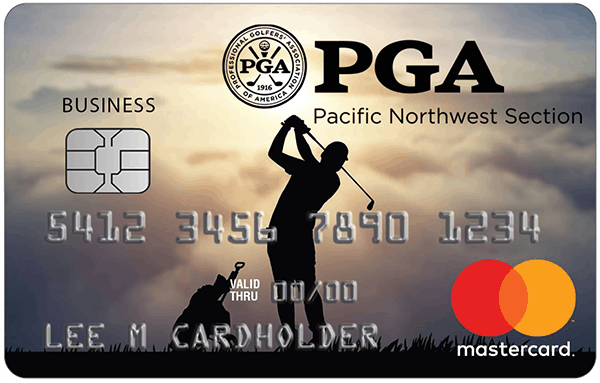 Plus, a percentage of each purchase will support the Pacific NW Section PGA. Why not keep your 2019 tournament expenses on one card, and earn rewards for your spending? I hope you join us in taking advantage of this new partnership and great opportunity! *See the card application’s Important Disclosures for current terms, rates and fees. The 1.99% APR applies until October 31 every year on purchases made March 1 to May 31 of the current year. The 1.99% Promotional APR applies to the small business credit card only.